The new emojis emphasise inclusivity. INTERRACIAL couples. A guide dog for blind people. A person using a wheelchair. These were among the new emojis announced last week by Unicode Consortium, the non-profit that provides standards for text on the Internet and oversees emojis. The list — which includes 59 new emojis, as well as variants for a total of 230 options — emphasises inclusivity. People will soon be able to create a “holding hands” emoji to reflect their own relationship, selecting for the skin colour and gender identity of each individual. Other options include emojis showing a hearing aid, prosthetic limbs, sign language, a cane or a wheelchair. A host of other new symbols include an otter, a sloth, a waffle, falafel, a yawning face, a white heart, a sari and a contentious one-piece bathing suit. male body part being very, very small. But don’t expect to see the latest offering on your keyboard just yet. That will most likely happen later this year. The Unicode Consortium sets the standards for emoji compatibility, allowing the symbols to translate across the Internet. Then companies like Apple and Google have to design emojis and incorporate the code into their operating systems, Greg Welch, a board member for Unicode, said. New emojis typically come to cellphones in September or October, Unicode said in the announcement. Last Wednesday, a representative for Apple pointed to its proposal for Unicode to create accessibility emojis, which said that the new emojis would “foster a diverse culture that is inclusive of disability” and help people express themselves, as well as show support for loved ones. A representative for Google said that it hoped to release the new emoji designs soon. The latest update continues a trend toward greater emoji diversity, which began in earnest a few years ago when a range of skin tones was introduced. In 2017, a hijab emoji was introduced. “You see people are asking for curly hair or skin tone and bald and hijab,” said Jennifer Lee, who serves on Unicode’s emoji subcommittee and helped found Emojination, a grassroots effort to make emojis more inclusive. Tinder, the online dating app, had campaigned for Unicode to better represent couples of different races and genders in the “universal language of the digital age”. “It’s huge and historic,” said Ken Tanabe, the founder of Loving Day, an organisation that encourages people to celebrate the anniversary of the Supreme Court decision that legalised interracial marriage. “You are talking about marriages and starting families,” he said, adding that he had heard from people who could not find a wedding cake topper that reflected their relationship and chose to use black and white chess pieces instead. 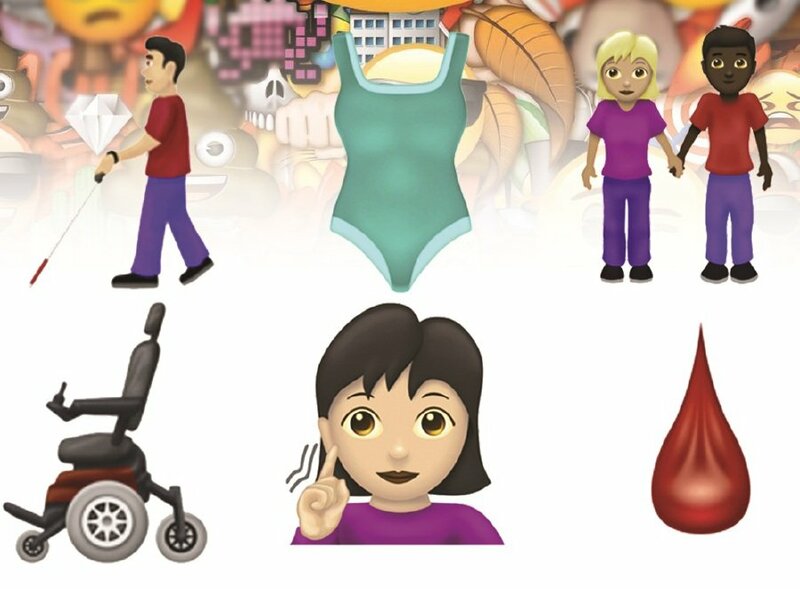 Apple had advocated adding emojis to represent people with disabilities. In a statement, Howard A. Rosenblum, the chief executive of the National Association of the Deaf, a civil rights organisation for the deaf and hard of hearing people, said it worked with Apple to help create the deaf emoji and hoped it would help “raise awareness throughout the world about deaf culture and the many sign languages that exist”. One of the new emojis — a guide dog for people who are blind and visually impaired — offers a fun way for people to represent their identity and honour their dogs in texts and emails, said Becky Davidson, who works at Guiding Eyes for the Blind, an organisation that provides trained dogs for people who are blind or visually impaired.